Redness Rescue Cream Review (2018): Does This Acne Cream Work? Fitglow Redness Rescue Cream Review: Is This Acne Cream Safe To Use? 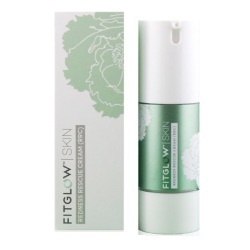 Fitglow Redness Rescue Cream, US $69 for a 30 ml bottle, is a skin care acne cream that works by instantly evening out your skin tone as it gives your skin lasting relief from inflammation to ease the redness and irritation. About Fitglow Redness Rescue Cream — Does It Really Work? This product is formulated and distributed by FitGlow Beauty, a skin care brand committed to deliver “Evidence based natural beauty”. 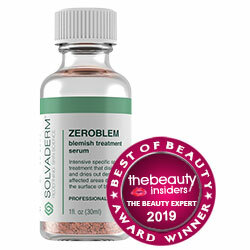 Formulated to soothe, relieve, and repair skin, this product is specially made to suit reactive skin, including rosacea-challenged skin types. All FitGlow Beauty products are made without most of the toxic, skin damaging, and irritating ingredients that are usually infused in cosmetics and personal care products, that includes triclosan, chemical sunscreens synhetic fragrances, artificial dyes, gluten, parabens, and PEGs, among several others. What Are The Ingredients In Fitglow Redness Rescue Cream? Redness Rescue Cream must be blended with your moisturizer or serum. Use over freshly cleansed and toned face. It also serves to prep your skin for makeup. Fitglow Redness Rescue Cream is formulated with a slight, greenish tint that works just like a concealer would cancel out the redness to promote a more even skin tone. This product is packaged in an opaque, airless bottle that helps keep its content intact and potent as it protects it from degradation due to sunlight exposure as well as unhygienic use. The formula is rid of toxic ingredients and mostly made with naturally sourced ingredients only. This product is expensive given the tiny packaging. Redness Rescue Cream reviews are severely limited, providing little useful information to gauge general user sentiment about this product. Does Fitglow Redness Rescue Cream Have Any Side Effects? Based on the ingredients and reviews, the only side effects that may be experienced when using Fitglow Redness Rescue Cream are skin irritations and allergic reactions due to botanical ingredients, and titanium dioxide. If skin redness is your perennial skin issue, Fitglow Redness Rescue Cream is the kind of product that promises to take away the redness and irritation. This product also claims to be capable of healing scars and acne, another plus over and beyond its relatively toxin-free formulation. However, far from being safe for all skin types, you should keep in mind that botanical ingredients are among the most notorious allergens. Make sure to take precaution most especially when you have sensitive or reactive skin.